Sandy to peaty shores of lakes and ponds; drying borders of marshes and bogs; moist sand of ditches, excavations, and fields, in acid soils. Easily recognized by leaf shape alone (blades usually at least 4 times as long as wide), although the size is variable (blades ranging from 1 to 10 cm long). 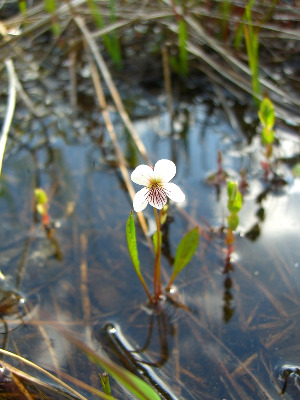 The petals are typically glabrous, although occasionally there are a few tiny hairs on the lateral ones, scarcely a beard. MICHIGAN FLORA ONLINE. A. A. Reznicek, E. G. Voss, & B. S. Walters. February 2011. University of Michigan. Web. 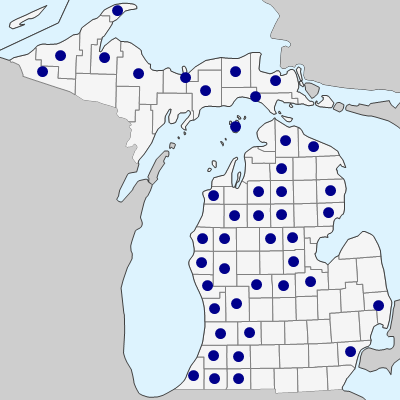 April 24, 2019. https://michiganflora.net/species.aspx?id=2784.